Update: While this post was originally published in 2012, it still holds true today and probably won’t change for some time. The DSM is used as a benchmark for doctors in addressing issues with their patients. The DSM is the Bible in determining who gets insurance coverage in the U.S. And the DSM sways how people outside of our community approach us. 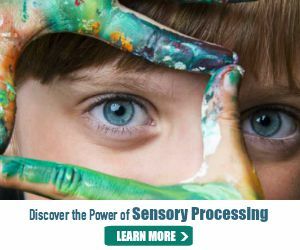 Since the DSM came out, there has been a breakthrough study showing a biological basis for Sensory Processing Disorder. As a parent and part of the sensory community, I’m still rooting for Sensory Processing Disorder to finally be recognized as a REAL condition by the medical community. This weekend the sensory community received heartbreaking news that Sensory Processing Disorder is not considered a real diagnosis per the DSM (Diagnostic and Statistical Manual). The American Psychiatric Association (APA) also clumped Asperger’s with Autism, putting them both on the Autism Spectrum (ASD). My heart sank when the APA released the announcement. I wish I could say I was surprised, but I wasn’t. However, I was hurt, offended and deeply saddened to hear something that had rocked my family to the core wasn’t considered “real” enough to be included. Does it help to know science is always behind the times? Until 1980, the DSM listed Autism as childhood schizophrenia, which seems so outlandish it’s almost laughable. But there’s nothing funny when it’s your own family. The sensory community has come such a long way. The simple fact parents are beginning to learn about this disorder, educating themselves and the general medical community along the way (you know who you are pediatricians! ), is a victorious step in the right direction. Sensory Processing Disorder is a stand alone condition. Period. Children can have SPD and still appear to be “all-around regular kids.” Children can also have Autism along with SPD. And kids on the Autism spectrum do not necessarily suffer from sensory challenges. It will take a fight until the medical community begins to understand how sensory issues affect families and children. Hey, doctors! My kid can appear to be just a “normal” kid during his check-ups and still have SPD. Vman is as smart as a whip. He’ll gladly say hi and talk to you. He has no fear of going up to new kids on the playground and makes instant friends. He loves his little brother and pushes his buttons as much as he helps him out. Vman’s now a typical kid thanks to amazing occupational therapy and hard work at home. Without understanding and embracing SPD, Vman would be struggling every day. Instead, he’s a typical boy. He loves rough housing. He looks forward to cuddling in his bed at night with stories. He’s a crazy fan of Ninjago as well the Avengers. His favorite toy right now is his light saber. Most importantly, Vman has learned to communicate when his senses are overwhelmed. That damn winter coat is still mocking us! He tells me when a hug would be too much, when sounds are too loud and when he needs to get the energy out of his body. SPD has become an integrated part of who he is rather than some monster driving the bus. Not including SPD does such a grave disservice to the families out there facing Sensory Processing Disorder. It’s like telling them they don’t count; their problem isn’t real. Well, I’m telling you it is real. It’s not made up. It’s not in our heads. And it’s not autism. Not in the least. My heart weeps for families that won’t have access to care they so desperately need because of the short sightedness of the medical community. Children shouldn’t have to suffer because psychiatrists can’t understand the difference between Autism, Asperger’s and Sensory Processing Disorder. As parents, we are on the forefront of creating a space and understanding of SPD. Our children’s generation may not have this benefit. But as we move forward, we can damn well make sure that other generations of kids get the understanding and attention so deserve. EVOLVE: What was your reaction when the news came out about the DSM-V excluding Sensory Processing Disorder? « Should We Tell the Duchess the Truth about Pregnancy? As many of you saw, the DSM will not include Sensory Processing Disorder when it is published next year, according to the American Psychiatric Association’s announcement this weekend. I needed to think about what this announcement means for our community and wanted to share my personal reaction. I’d sure like to hear yours. I am not even sure what to think. My daughter is 6 and in private kindergarten. We go to our Zone school for speech. I can’t imagine what will happen as we move into grade school. And what we will do for therapy through insurance. Then what about genetics…the Shriners are helping due to gait and delay in large motor. There’s so much education that needs to be done! The medical community really doesn’t understand what’s going on with SPD kids. And it’s only when parents push to start figuring it out do the children actually get help. It is more than sad. When, oh when will our children be understood? Not soon enough. Maybe one day, SPD will be recognized as a stand alone diagnosis. And maybe at that time, vision therapy will actually be covered by our insurance. I think it will be some time before we get there. 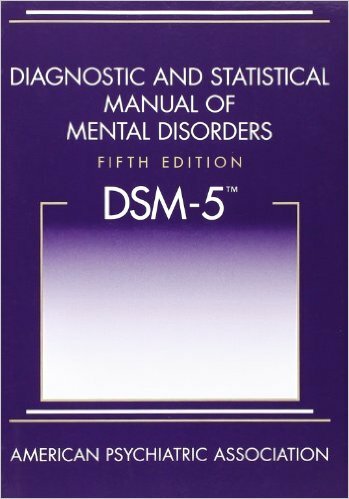 Thankfully, the APA decided this go-round that they won’t have to wait another decade before they update the DSM… but I’m not holding my breath. It sounded to me like you just said that kids with autism are not intelligent, fun loving, social and funny and your upset because your child is being clumped together with “them”. Maybe I’m the one being sensitive right now but how you worded that came across negative towards kids with autism. My child stills loves being with people, can at times be very social, which is hard because he is non-verbal, he is intelligent and funny in his own ways. What I read struck a very raw nerve. I agree with u I was a little offended about the intelligent comment! I,m not sure how intelligence plays a part with being accepted!,, My son who is a young adult , whom now deals with SPD, Autisum, and Down Syndrome as well as several major health issues. I hear ya… remember that they used to categorize Autism as childhood Schizophrenia. It always takes a while for the medical community to catch up. Until then, I’ll keep fighting for my kiddo.